For the past two years, the Arts and Humanities Research Council has been funding the ‘From natural resources to packaging, an interdisciplinary study of skincare products over time’ research project through an Early Career Development Award as part of its Science in Culture Theme. Early career researchers from the University of Oxford, the University of Glasgow, and Keele University have been working in conjunction with staff at the Royal Pharmaceutical Society Museum, and at the Boots Archive (on which see this Recipes Project post) to undertake a scoping project and investigate the evolution of skincare products over time. 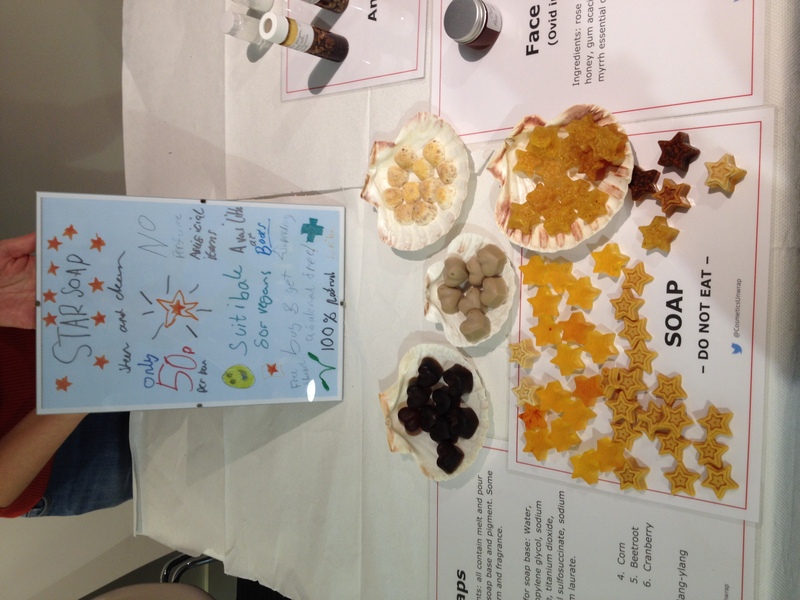 The aims of the project were to identify the natural substances used in skincare products in the past and identify what – if any – pharmaceutical properties they possessed; to study the packaging and advertising of skincare products and the ways in which ancient images were utilised in them; to recreate ancient skincare products using contemporary natural substances; and to undertake public engagement activities and so disseminate the information generated by the project. 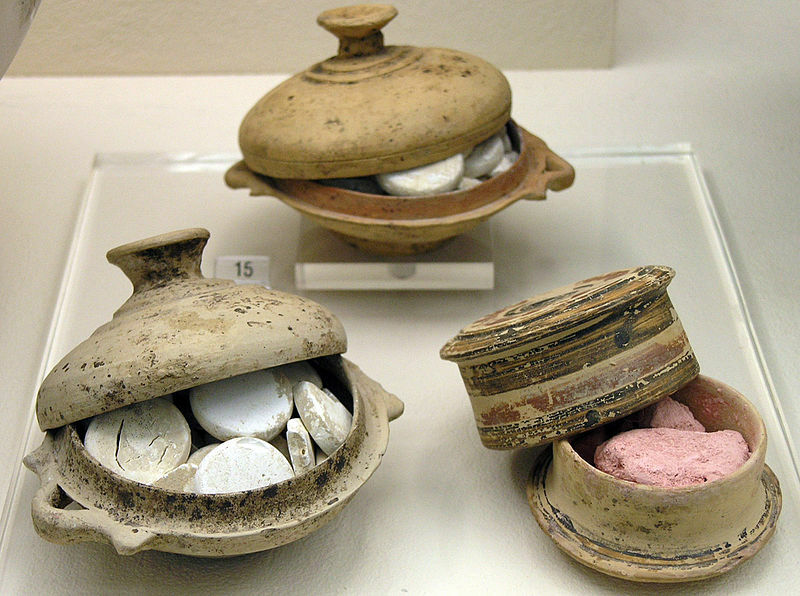 The culmination of the project was a two-day event at the Royal Pharmaceutical Society Museum, the first day consisting of a conference, the second a workshop, accompanied by ‘Cosmetics Unwrapped’, a special exhibition at the Royal Pharmaceutical Society Museum, which draws on the museum’s collections as well as those of the Boots Archive and the Petrie Museum of Egyptian Archaeology. On Thursday 15th February, eleven experts in different areas of the history of cosmetics from around the world presented their research. Thibaut Devièse, the Principal Investigator of the ‘From natural resources to packaging, an interdisciplinary study of skincare products over time’ research project, opened the conference with an overview of the project’s activities and findings.The first panel focused on literary, documentary and archaeological evidence for cosmetics in ancient and historical periods. Francisco Gomes from the University of Lisbon discussed evidence for perfumes and unguents in the Western Iberian Iron Age, noting that the containers are an under-studied item and minimal analysis has been done on either them or their contents. Mira Cohen Starkman from the Wingate Institute discussed a range of cosmetic recipes from Jewish literature in use in Ladino and observed that comparative research using contemporary tribal practices can be useful when attempting to understand how natural resources were utilised as cosmetics in the past. Finally, Kathleen Walker-Meikle surveyed Hieronymus Mercurialis’ skincare recipes and highlighted the amount of ancient Greek and Latin medical recipes that he had utilised as sources. The second panel explored the scientific analysis and experimental reconstruction of ancient and historical cosmetics. Josefina Perez-Arantegui from the University of Zaragoza detailed the different types of chemical analysis that can be brought to bear on surviving samples of cosmetics, while Maria Cristina Gamberini from the University of Modena provided an overview of not only the chemical analysis of Phoenician pigments but also the recreation of the recipes that would have contained them. Finally, Effie Photos-Jones of the University of Glasgow surveyed the different types of white pigment recovered from burials in Attic Greece and presented evidence that some of these pigments had been synthetically created in accordance with instructions found in ancient Greek literature. The third panel provided an opportunity to explore the reception of ancient cosmetics in later historical periods and in the contemporary world. Judith Wright from Boots presented a lively potted history of the company’s popular No7 brand, noting how the brand responded to social change over the course of the twentieth and twenty-first century. Peter Homan, President of the British Society for the History of Pharmacy discussed remedies for baldness. Anisha Gupta from Kings College London scrutinised the numerous approaches to oral hygiene undertaken throughout history. Finally, independent scholar Julie Wakefield investigated the used of the ancient Greek pharmaceutical writer Dioscorides’ work by herbalists in the Early Modern period. The conference was brought to a close with a guest lecture on the appeal of natural products from the botanist, science writer, and broadcaster James Wong, author of the internationally best-selling books Grow Your Own Drugs and Homegrown Revolution. On Friday 16th February, a free to attend workshop open to members of the public, generously funded by the Institute of Liberal Arts and Sciences at Keele University and sponsored by G. Baldwin and Co. allowed experts in the recreation of historical cosmetics Szu Wong, Anisha Gupta, and Julie Wakefield to share their knowledge, expertise, and techniques. 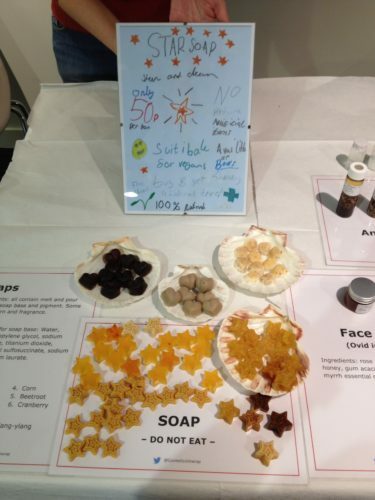 Parents and children from across London were invited to test a range of products recreated from ancient recipes such as Ovid’s face packs and face masks, Cleopatra’s solution for hair loss, and Egyptian kohl, and to create their own toothpastes and oatmeal moisturisers. Children were also encouraged to come up with ideas for cosmetics and design and make packaging and advertising for them. The ‘Cosmetics Unwrapped’ exhibition will be on display at the Royal Pharmaceutical Society until August and is free to view. The team would like to thank the Arts and Humanities Research Council, the Institute of Liberal Arts and Sciences at Keele University, the Royal Society of Chemistry, and G. Baldwin & Co for supporting the research project and these events.